It looks like the bid is at 40k. Is someone driving the bid up hoping to catch a big fish. I would think that at 40k you could build one of your own. There is really nothing special about the car (series 1). Really nothing special huh? You would be hard pressed to recreate that car for less then 50k. Assuming the resto is at show quality level( disregarding the performance mods), you could spend 40k. It might not be to everyone's personal taste, but that level of resto mod is a heavy investment. I'd love to see it draw big money for all our sakes!! Just clicked on the ebay link in the first post and a pop up said "42 people an hour are viewing this." So it is getting some attention. I fully agree with madkaw. I'm already at 30K without the bodywork. just engine, differential, gearbox, front/back suspension and 4 disc brake system, Interior in leather and powdercoating everything possible. Sorry, im a little closer to mexico where you don't have to spend that much for body and paint for a good job but I am starting to see where some of the parts are adding up. Any photos you can share? Would love some details on this one, or links if you've got 'em. 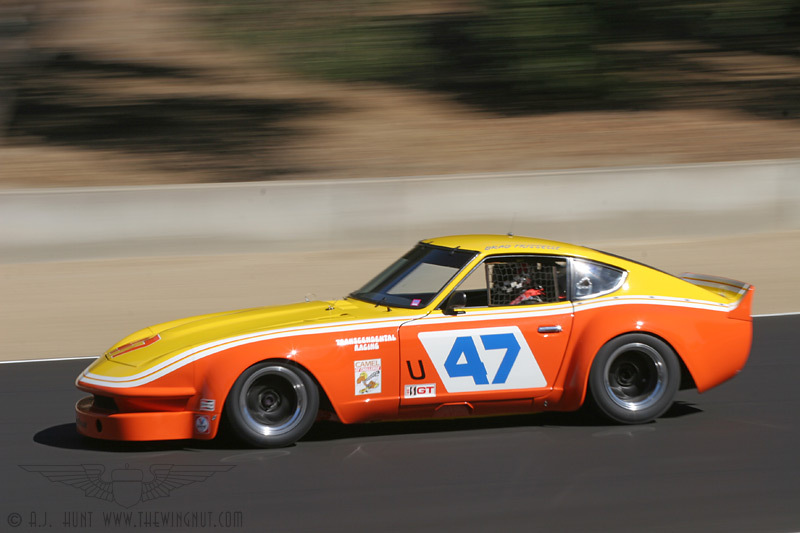 Alan would know better then me but a US example is the Frissell IMSA 260Z. I realize this is an old thread. But, it looks like high bid ended at 43k. Anyone know if this was the winning bid? If you've ever done a full restoration, you'll agree that 30k isn't hard to accomplish. When other people do the work, there are a lot of labor costs involved. Considering all the specialty items on this car, 43k might be realistic. And when I'm done, it'll be worth $27,000 on the street... Good thing I'll never sell it! Ha! Yea doing a build like this isn't likely to bring in a profit. The only real way to bring in a profit is to restore a car to exact stock specifications. I saw their show, Kindig it designs, I think thats the name of it. They did drive it around. Sweet looking and running car. This car price is pocket change for Saudi Arabia and UAE Buyers. Owners probably have at least 90K invested into it.